Save for the color, these polishes are identical, so I'm going to post pictures and color descriptions/color reviews first and then post my review of the application and finish. Minka - warm yellowish tan. When I first had this one on, I hated in on my hands. Then, last night when I was swatching it for this redux post, I realized it wasn't so bad. It almost reminds me of China Glaze Classic Camel, though it's lighter and doesn't have the same shimmer. Like Classic Camel, it doesn't work with my skintone, but I did like it. I think this color would look amazing on someone with a darker skintone (actually, all of these colors would probably work MUCH better on darker skin). 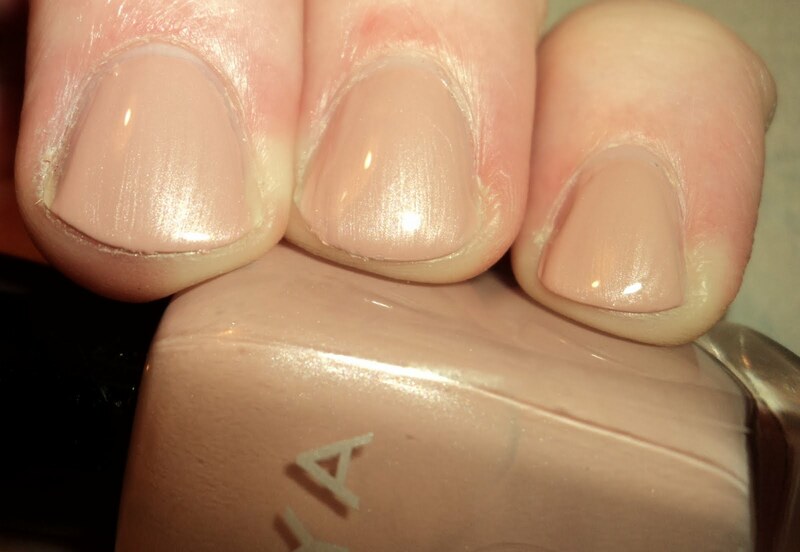 Pandora - Pinky Beige. Again, I find myself really liking Pandora (though, I'm not sure I will wear it regularly... more on that below). It just works with me. This is the only one of the 3 that didn't give me red-hands. Shay - Silvery beige. Shay is probably the most neutral of the 3, however, it's the one I liked the least. The color just wasn't flattering on me. I thought it made my hands look old. Like Minka, thought, this one probably would work on a darker skintone or someone with more yellow in their skin. This collection was a bit of an odd duck, especially for Zoya. It was nice in concept, but there was something about it that just seemed off to me. Even though they were similar in a lot of ways, each color was unique in the way that a display full of foundation colors is unique. They all had subtle variants, but they were all, in essence, beige. 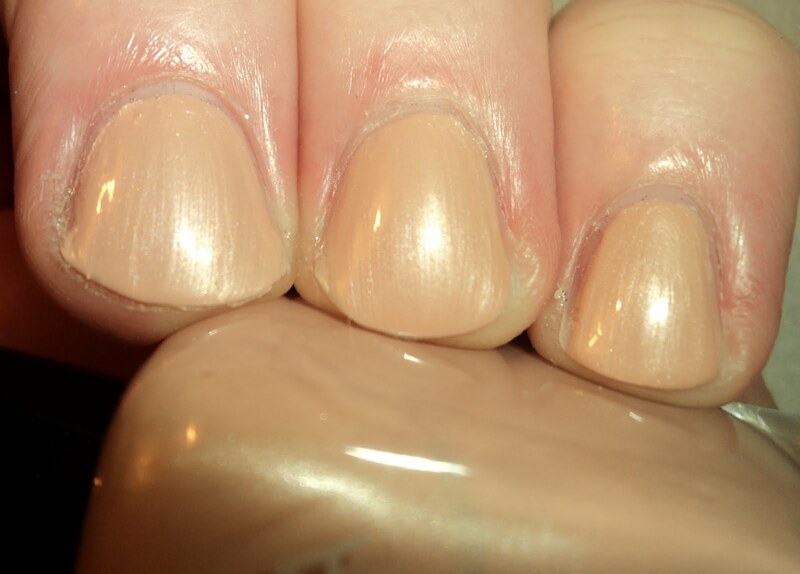 So it really is like foundation for your nails. Normally, nail polish is more one-size-fits all. However, these were not. You would have to really know where you fit in terms of your skintone before you picked up one of these. Also, the formula wasn't typically Zoya. I found it to be difficult to work with and it was easy to get application marks. So, I had to go slow and use thin coats. Because of this, it took 3 coats to reach opacity on these. Additionally, I didn't really find myself a fan of the frosty finish. In part, I think that is what aged my hands, in the pictures. That's why I probably won't wear Pandora regularly, though it is a nice color. All in all, I hate to say it, but I think this was a bit of a miss for Zoya. I've heard Smoke and Mirrors is fantastic, though, so I think Touch was just a small misstep. Again, the concept is cool, but the finish is what didn't work for these.